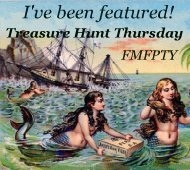 Welcome to Treasure Hunt Thursday #102! Sorry I am behind getting the party started this week everybody. Time just got away from me today. 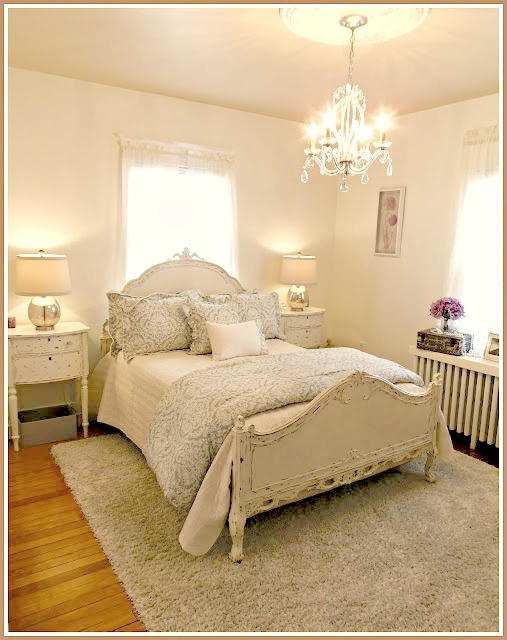 I am in love with Janet's guest bedroom over at Rosemary and Thyme. Ribbonwood Cottage shared one of the prettiest spring table scapes. 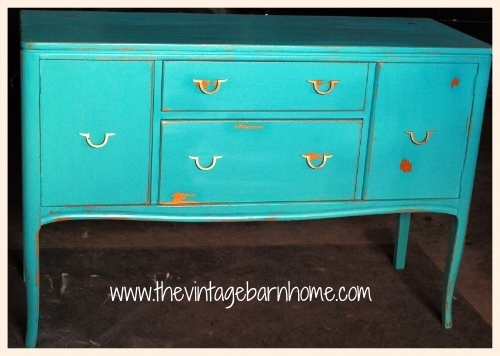 The Vintage Barn caught my eye with this turquoise buffet. Thank you so much to everybody who comes out to party every week! That bed is just beautiful. Gorgeous bedroom! I bet you are worn out from all that work in the kitchen!! Nice features, Pamela! Thanks for hosting! Love that bedroom furniture. Thanks so much for hosting Pamela. Thank you so much for hosting, Pam! Hi Pamela, Sounds like you've had a week like mine. Allergies are bad around here this week. Thanks so much for hosting and I have to say that I love how your cabinets look in your previous post!! Oh my goodness, that bedroom is amazing! Thanks so much for hosting, Pamela! Love coming by to see all of this week's treasures! Thanks so much for providing the party! Thank you for hosting...and thank you SO much for featuring my sweet little turquoise buffet!! My childhood friend bought it...so happy she has it! Oh my gosh that bedroom is simply divine!! That big French cabinet I have would look amazing with that bed. thanks for the party, Pam. Just linked up! Thanks for hosting!!! New follower and linker! Love the bedroom!! I love looking at everyone's treasures! Hello Pamela. Happy Thursday. I was so happy to see my Guest Bedroom Makeover being one of the features this week. Thanks so much. I am very flattered. I love what you did with your kitchen cabinets. I have been thinking of painting mine too and now that I see how yours turned out, I am going full speed ahead. Thank you for the inspiration. Great features Pamela...thanks for hosting and have a great weekend! I just love Janet's bedroom. So gorgeous. Thanks for sharing these features. So pretty.